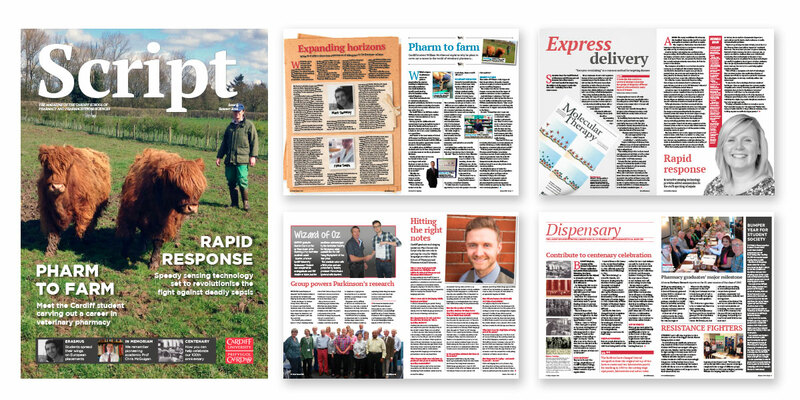 As TylerBale’s editorial director took his first steps in journalism by completing a degree at Cardiff University, it was a pleasure when the academic institution asked us to launch a magazine for its School of Pharmacy and Pharmaceutical Sciences. After coming up with a title – Script – we worked closely with the University to find out about the School’s work and, importantly, what it wanted to achieve through the magazine. Learning that the primary audience would be alumni from the School’s various courses, we set about creating a title which would inform, entertain and engage readers, all within a limit of 12 pages. We immediately dispensed with the idea of rehashing press releases, instead deciding that the best medicine would be to generate new and exclusive content. We deliver that in the form of bespoke features, each written following interviews with the academics or students involved. This approach calls on the well-honed journalistic skills found in TylerBale’s team as we endeavour to learn enough about some fairly complex scientific research in order to be able to ask the right questions, receive the important information and distil it into interesting articles. We’ve been privileged to speak to some of the world’s leading pharmacy researchers about their pioneering work around disease and other public health issues and it is a pleasure to play a part in sharing that with Cardiff University graduates. 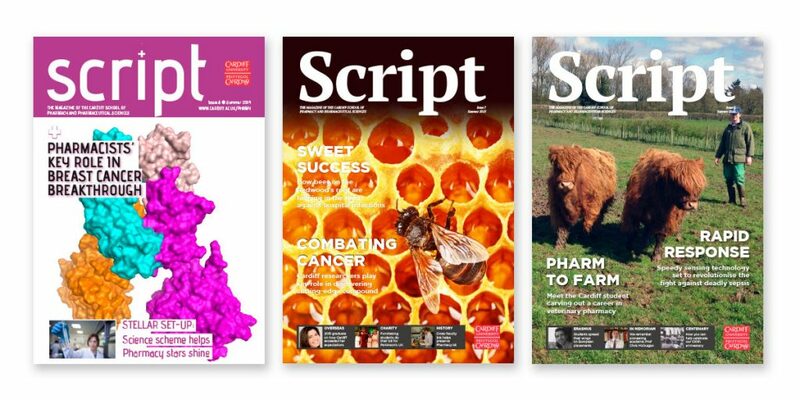 As for Script, the magazine continues to be eagerly anticipated by pharmacy alumni at home and abroad, with copies delivered to recipients as far afield as Australia, China, Malaysia and Brazil.